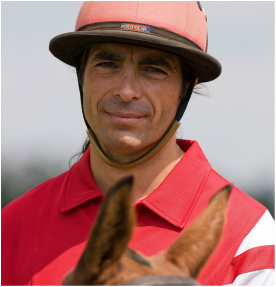 Dante has competed in numerous tournaments with the Red Eagle Ranch Polo Team and has won several USPA events at the 4 and 6 goal level when teamed with his wife Mary Muldoon. He and Mary Louise regularly compete in Virginia, Maryland and South Carolina. In 2014 he and Mary competed in Figueras, Spain. He and Mary foxhunt in Maryland, Virginia and South Carolina each season. Dante is responsible for arena and polo field maintenance at the Ranch and takes great care to ensure that the playing surfaces are always exceptionally well-groomed and prepared. ﻿Dante is also webmaster for Red Eagle Ranch. If you have suggestions for the site, be sure to let him know. 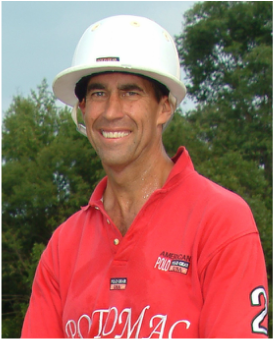 Joe is the founder of the Potomac Polo School, the predecessor to the Red Eagle Polo Training Center. He is currently the EasterCircuit Governor for the United States Polo Association. was formerly one of the top amateur players in the United States of America and possessed a 5-goal handicap for many years. He has competed in and won many prestigious tournaments in the USA and abroad, including the Monty Waterbury, Chairman's Cup, East Coast Open, and Sunshine League among many others. Joe along with his father were the originators of the Family House Polo Match that has been held annually for over 30 years in Pittsburgh, PA to benefit the Family House organization that provides a special “home away from home” for patients and/or their families who are in Pittsburgh seeking medical treatment.